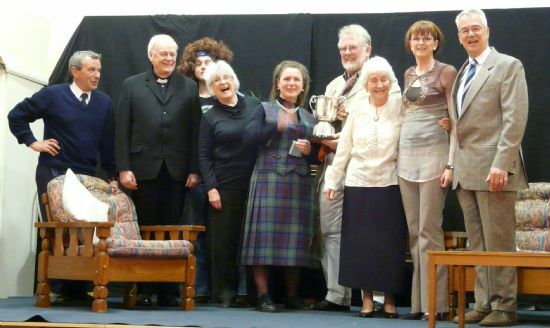 Winners of the 2010 Skye One Act Drama Festival. Welcome to the Carbost Village Drama page. We have a long and illustrious history of utilising local talent and skills to provide community based Drama in the Minginish area. Our main focus in recent years has been to enter a production in the Skye Division of the annual UK One Act Drama festival, This normally takes place in February each year and in the last three years we have been very successful. In 2008, we performed ‘Woman Alive’, a comedy by John Tully and won the Philp Rose Bowl, for third place and progressed to the Highland finals, held in Aros. In 2009 we won the Elizabeth Wakefield Quaich, for Best Production, with our performance of ‘Halloween’ by James Scotland. This was particularly enjoyable as the trophy is named in honour of Elizabeth Wakefield, who was for many, many years the main stay of the Carbost Village Drama Group. 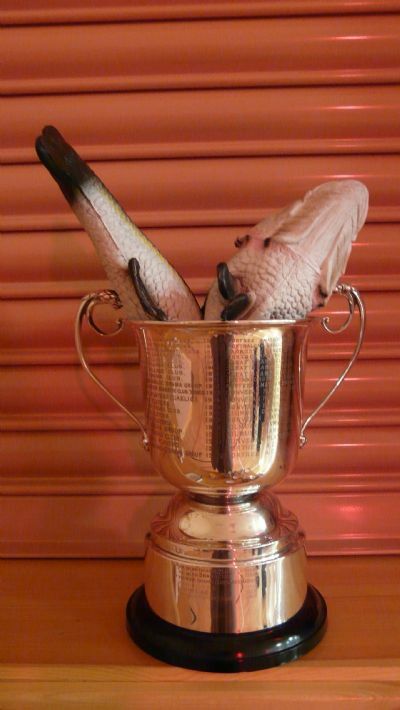 Then in 2010, we achieve first place and the MacPherson Cup, for our comedy ‘A Fishy Business’ by Margaret Wood. We then went on to the Highland Finals in Dingwall, where we were again praised for the standard of our acting, production and especially the community element, as we were by far and away the largest group taking part. As well as performing in the Drama Festival at Aros, we have also teamed up with Dunvegan Players to put on our productions at their village hall to help raise funds for our groups, and this year for the first time in many years, we were able to put on a local performance in the new Minginish Village Hall, which was very well attended and great fun. Well that may depend on YOU! We will be entering the One Act Festival again in 2011 and are always looking for new members, ideas and skills. Do fancy treading the boards? No previous experience is necessary - two of our award winning team this year had never acted before - and a very large salmon had a very important part and commented afterwards that it "really didn't feel like a fish out of water at any time"! Don't fancy acting, well we are always looking for help behind scenes, whether with set building, sound, music, electrics, make-up, props and there of lots of other ways in which you can get involved to help us continue to provide true community drama from the Minginish area. With enough support and interest, we also have plans for a community Pantomime - oh yes we have!